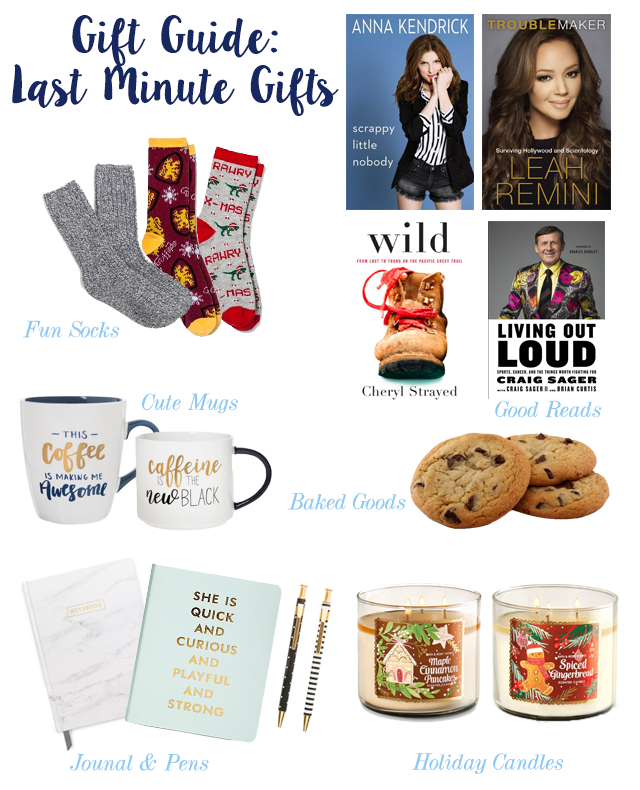 I told myself this year that I was not going to do any gift guides. All bloggers do them, and let's be real, their guides are so much better than anything I could create. My gift guides are always terrible, and I just thought it wouldn't be worth the effort to create something I wasn't 100% happy with. Until I realized that I hadn't actually gotten gifts for anyone. My parents got the gifts for everyone else, and I get to put my name on them. I told y'all college had me crazy busy. I figured if I was doing last minute gift giving then someone else was too, and this idea was born (with the help of Caroline's post). So here's a gift guide for all the procrastinators out there who just remembered Christmas is next week. Also one of my favorite gifts I have given is a donating a goat in the name of one of my best friends. Donating money in honor of one of you friends is such a great idea, especially if it's a cause you know that's important to them. Not only did I procrastinate getting gifts, I procrastinated asking for gifts. I have absolutely no idea what I am getting this year since I only told my parents I wanted Anna Kendrick's new book, Coach Cal's new book, a sweatshirt, which I was supposed (and forgot) to order, and a Chewbacca onesie. Honestly I am just happy to be home for Christmas and to have had a good first semester, so whatever gifts I open on Christmas morning, I am a-okay with.